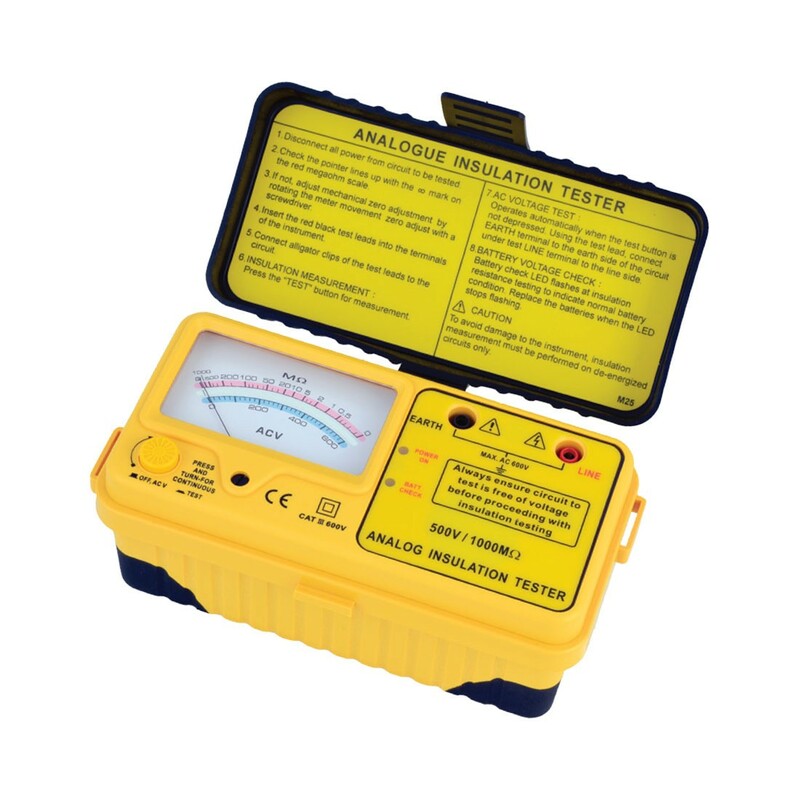 Analogue (1kV below) Insulation Tester. Measures insulation(MΩ) and AC voltage. LED indiction for testing insulation. Highly efficiency and accurate DC-DC converter. 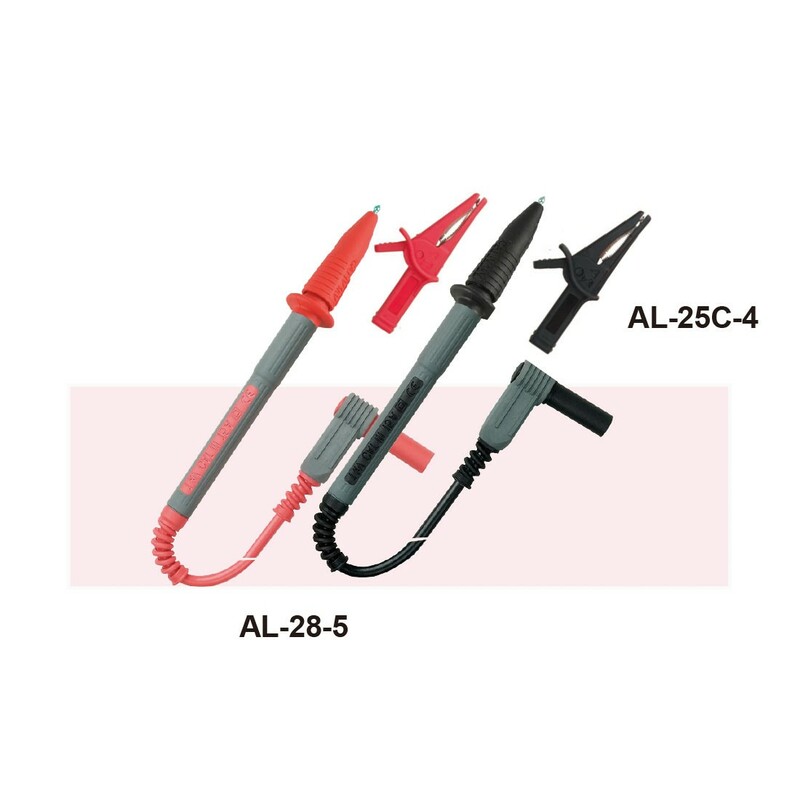 AC voltage measurement can be made without depressing the test button .